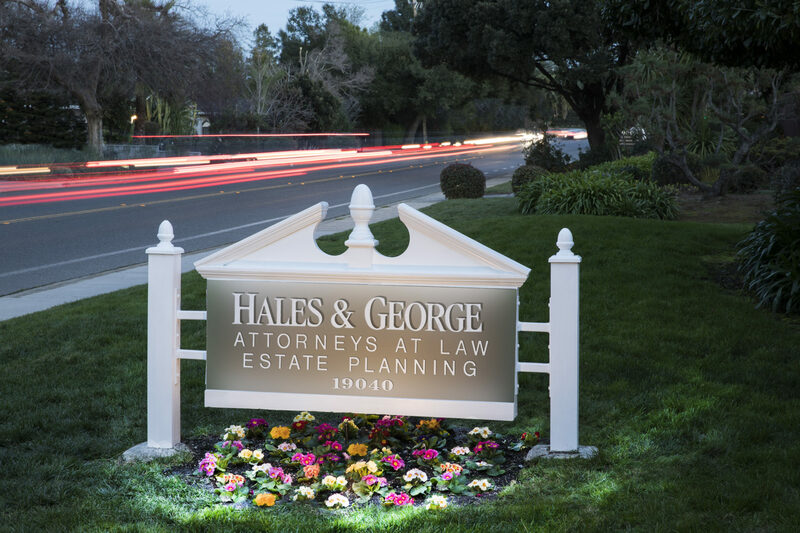 Hales & George is a family-owned law practice with a prestigious 47-year history. We are proud to serve our clients on matters of estate planning, trust administration, probate, estate & gift tax, and business planning. We have a long tradition of advising our clients with compassion to help minimize estate taxes, capital gains taxes, control the distribution of assets and avoid court involvement. Our attorneys work closely with our clients to understand their unique circumstances and offer creative and innovative solutions to ensure assets are protected and family harmony is maintained. 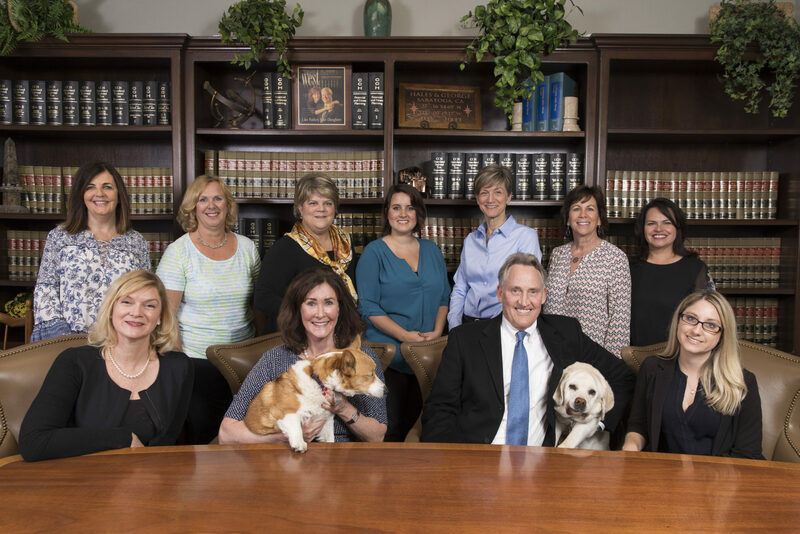 Our team includes members of many professional organizations, including the State Bar of California, the Santa Clara Bar Association, the Silicon Valley Bar Association and the Santa Clara County Estate Planning Council. Our lawyers have earned distinguished achievements such as Certified Specialist in Estate Planning, Trust and Probate Law and the Super Lawyers Magazine Award every year since 2010. 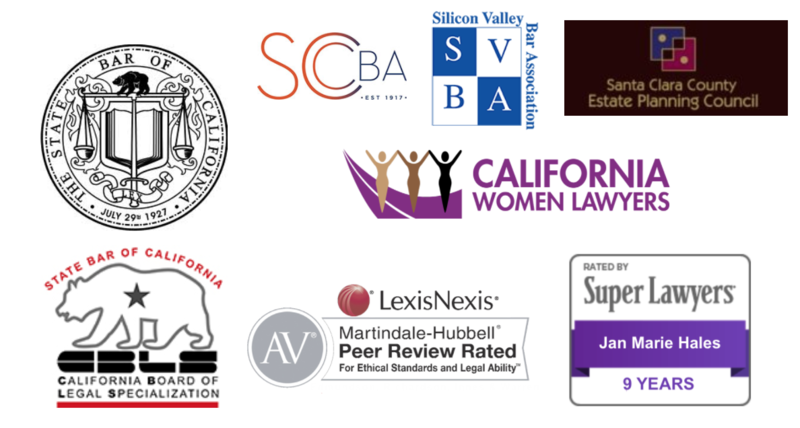 Our associates are members of many professional organizations, including the State Bar of California, the Santa Clara Bar Association, the Silicon Valley Bar Association and the Santa Clara County Estate Planning Council. 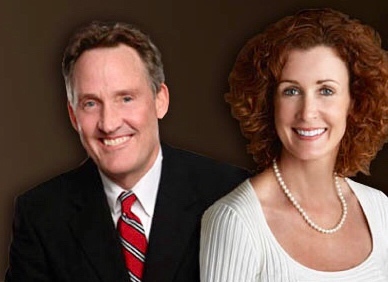 They have earned the achievement of Certified Specialist in Estate Planning, Trust and Probate Law and they have been recognized by Super Lawyers magazine every year since 2010. We take pride in our relationship with our clients and in our ability to empathically listen to each unique situation. We understand that some of the decisions required in estate planning are not easy, but with our extensive personal and legal experience, we are able to guide our clients to. achieve the best possible outcome for each legal matter we handle. Our firm is rated AV by Martindale Hubbell Law Directory, which is the highest rating possible and based on skill and ethics. We are located in the heart of Saratoga, California and serve our community as well as the San Francisco Bay Area. We have an outstanding team of professionals who combine their expertise and experience to assist you in achieving your goals. The success of our firm depends on the dedication of the people behind it. The Hales & George team is composed of highly trained and experienced professionals who strive to deliver first class service to our clients. Our staff maintains a strong connection with the community through engagement with active fundraising and volunteering events. In addition, our attorneys collaborate with local, national, and international organizations for speaking engagements. Learn more about the members of this outstanding team. The success of our firm depends on the dedication of the people behind it. The Hales & George team is composed of highly trained and experienced professionals, who help achieve our goals in delivering an optimum and first class service to our clients. Our staff maintains a strong tie with the community and are active in fundraising and volunteering events. In addition, our attorneys collaborate with local, national and international organizations for speaking engagements. <DF> There is a line about speaking engagements under the last part of our team that could be paired with the offer of speaking I referenced above.